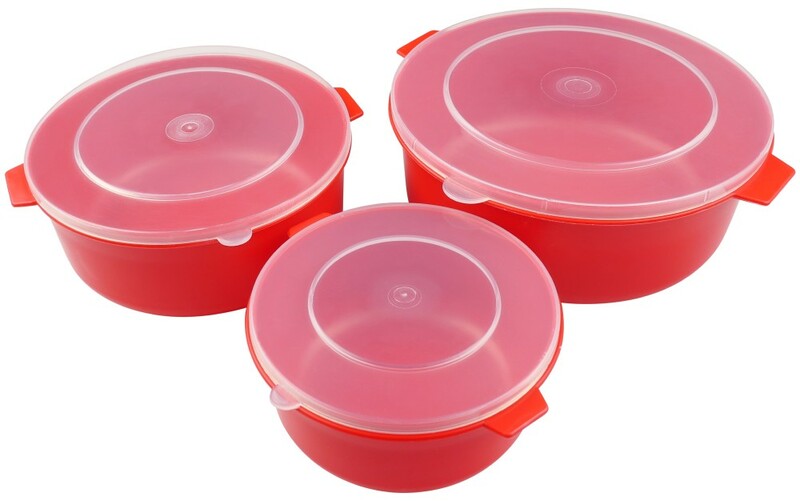 A set of three microwave dishes with lids. 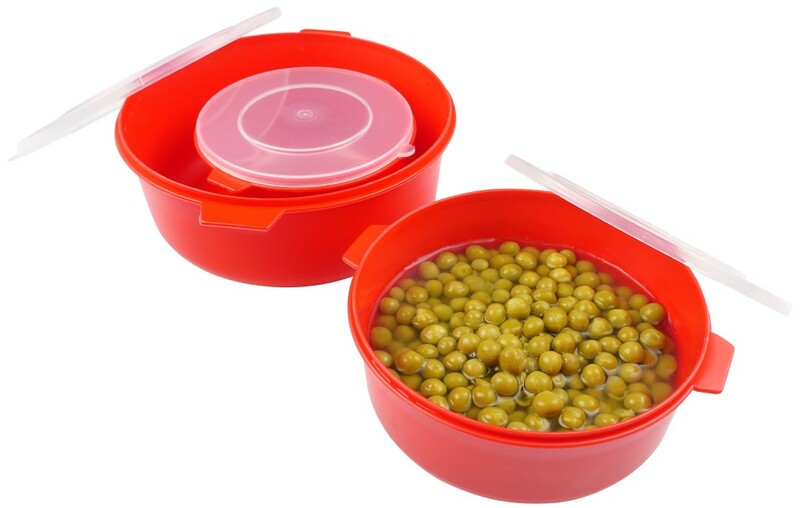 Can also be used to store food in the fridge or freezer. 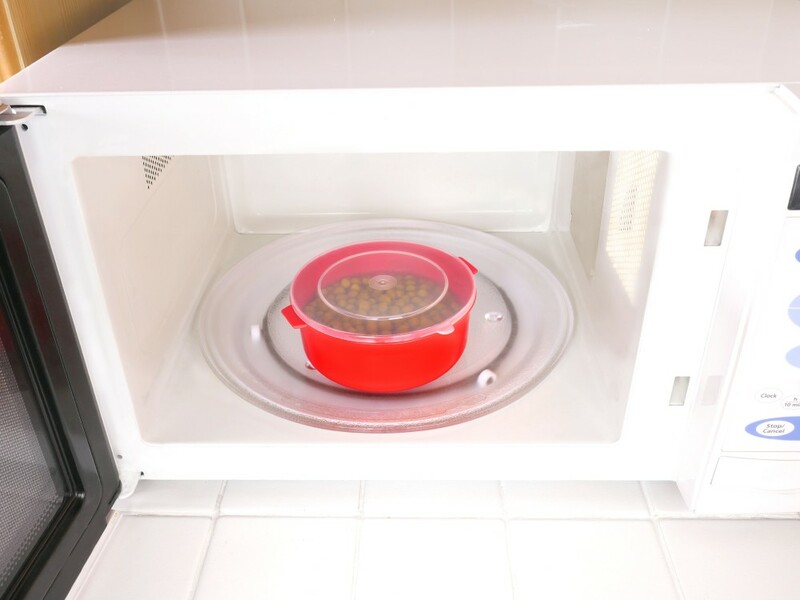 Prepare food in the microwave, freeze it, defrost and reheat in the microwave, in the same container. Saves time, mess and washing up. All of the boxes nest inside the largest for easy storage. 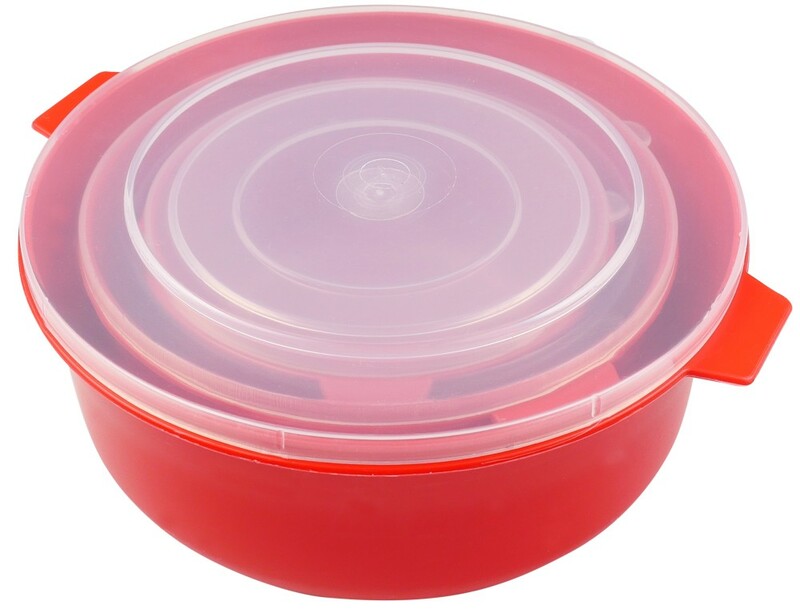 Large dish holds 1 Litre. Small dish holds 0.3 Litre. Very pleased with the microwaveable dishes. Just what I needed to replace old, word and stained dishes. Good product, exactly what we needed. Excellent product and despatching service.